We report the facile synthesis of graphene-supported palladium (Pd) nanoparticles anchored zinc oxide nanorods (Pd-ZnO/G) by the sol-gel method. X-ray diffraction (XRD) pattern confirmed the hexagonal wurtzite crystal structure (with P63mc phase) of Pd-ZnO/G nanorods similar to ZnO structure. X-ray diffraction results showed that graphene-supported Pd nanoparticles anchored on ZnO nanorods increases the average crystallite size of ZnO nanorods. Field emission scanning electron microscopy (FESEM) revealed the successful anchoring of Pd nanoparticles on the surface of ZnO/G nanorods. X-ray spectroscopy (XPS) was used to obtain the different oxidation state and surface compositional details of nanorods. Energy dispersive spectroscopy analysis confirmed the presence of palladium, carbon, and oxygen in Pd-ZnO/G structure. The optical absorption measurement indicates that after graphene and palladium doping, it shifted towards the low wavelength region for Pd-ZnO/G structure and high wavelength region in the case of ZnO/G nanostructure. 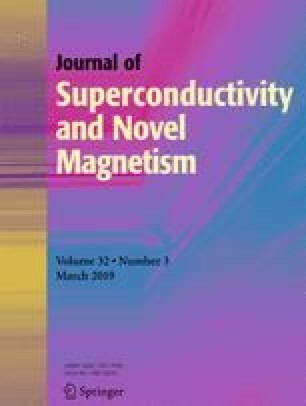 Magnetic measurement showed that the saturation magnetization of Pd nanoparticles anchored nanorods increased when compared with that of ZnO/G and ZnO nanorods. P. Shukla is thankful to MHRD, India, for financial support and also grateful to V. Shukla IIT Kharagpur for helping in measurements.